Date: 1862 (published) New York. Dimensions: 12.25 x 15 inches (31.1 x 38.1cm). This is an authentic antique map of Australia. It was published in 1864 by AJ Johnson in New York. 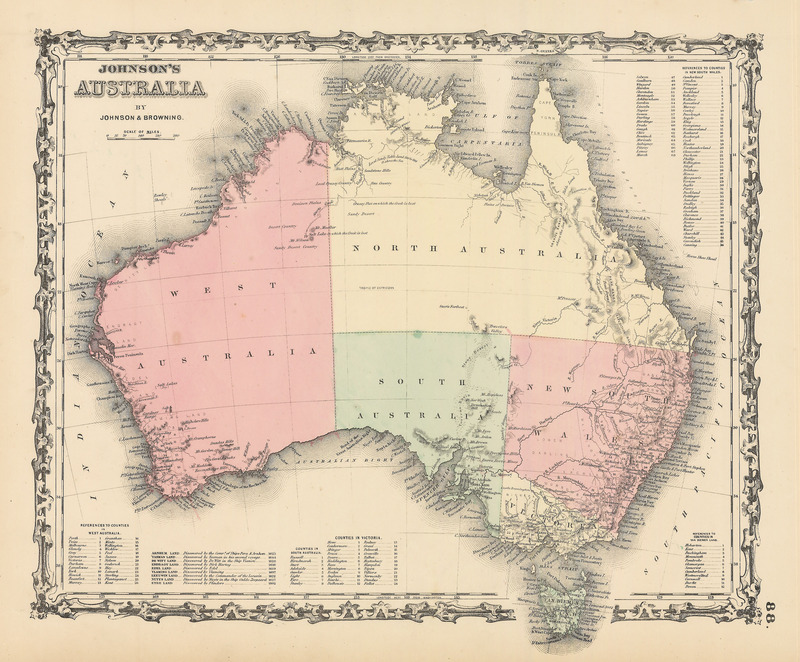 This color-coded map of Australia shows its various states and cities as they existed in the mid-19th century. It reflects a time in Australia before the state of Queensland was recognized and the island of Tasmania was known as Van Diemen Land. Condition: map is in A condition. It is detailed and sharply colored, with light toning around the edges and a slight edge tear. The image also bears some light spotting.